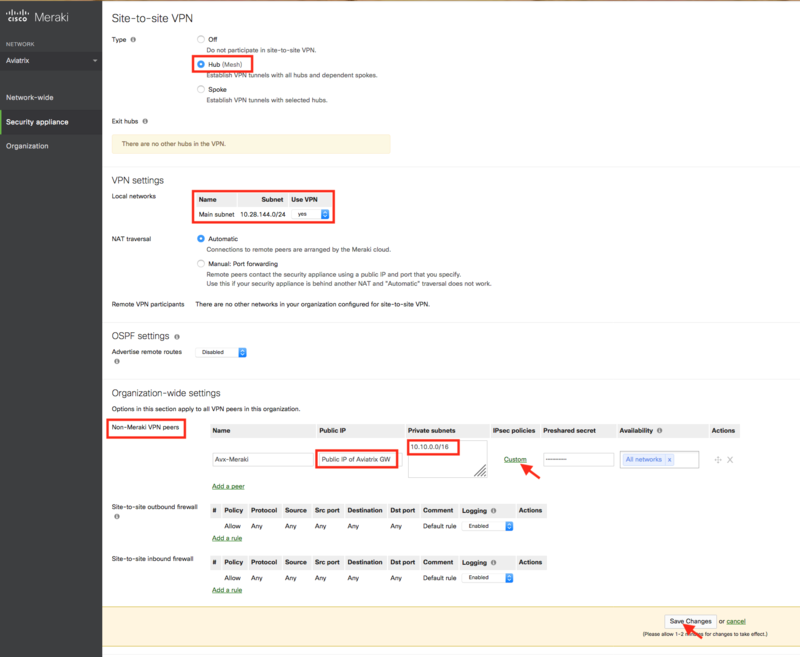 This document describes how to create an IPsec tunnel between an Aviatrix Gateway and a Meraki MX64 using Aviatrix Site2Cloud. Remote Gateway IP Address IP address of the Meraki M64 device. Remote Subnet Enter the CIDR representing the network behind the Meraki MX64 that this tunnel supports. 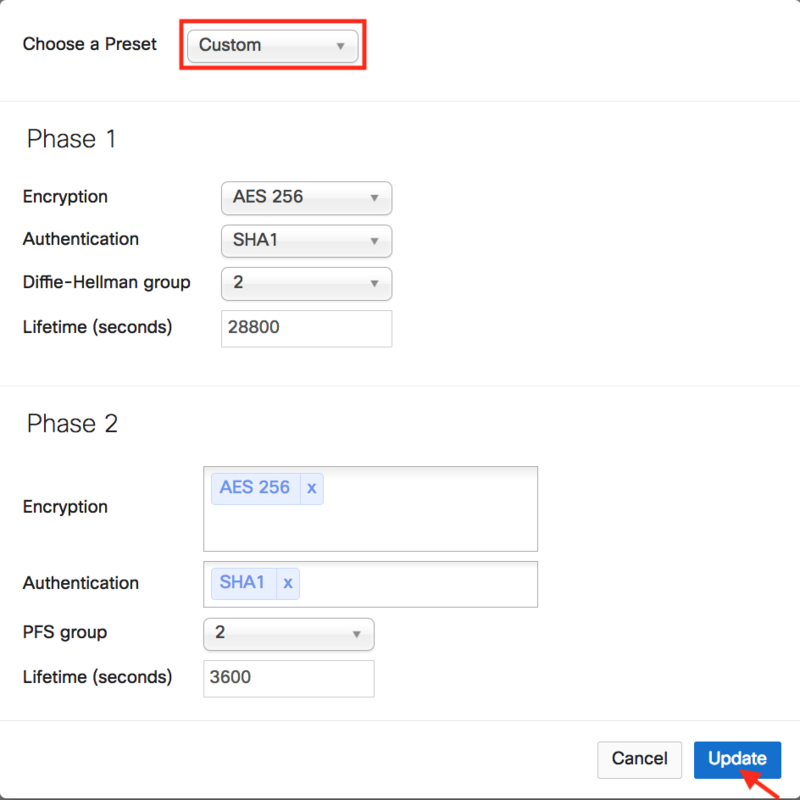 Click on this newly created Site2Cloud connection and select Vendor Aviatrix to Download Configuration so that you can copy and paste the preshared-key into Meraki configuration later. In the Security appliance menu, select Site-to-site VPN under Configure section. 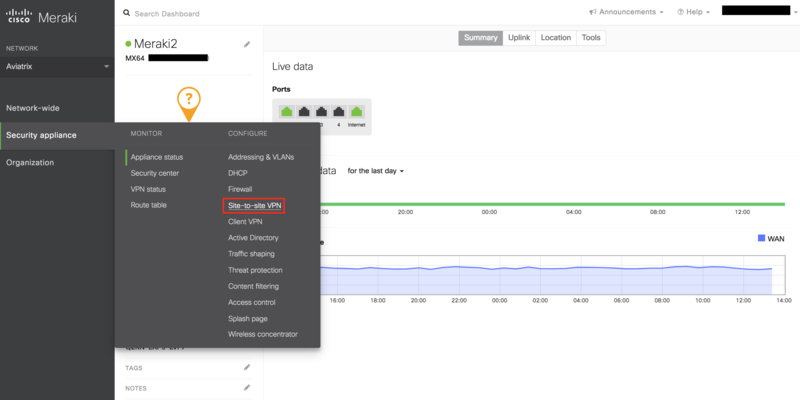 Configure your Meraki MX64 and add a peer according to the screenshot below. Click on Custom in the IPsec Policies to create a custom policy that matches Aviatrix Site2Cloud configuration that was previously downloaded. Click Update to save the Custom policy. Remember to click on Save Changes. 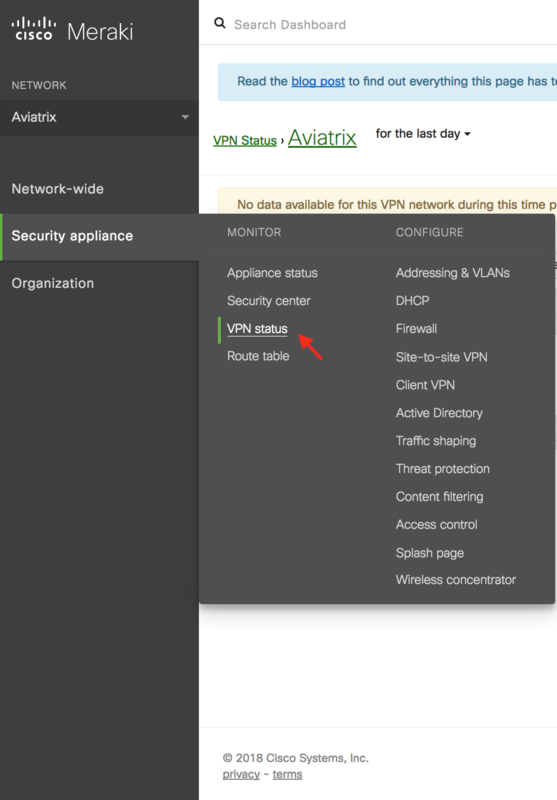 In the Security appliance menu, click on VPN Status under Monitor section. Send traffic from on-prem Meraki MX64 internal network to Aviatrix Gateway VPC. Verify that VPN Status is green under Non-Meraki peer tab.